Medical Simulation is a learning technique and not just a technology. Understanding some of the learning theories behind healthcare simulation may help team members with limited experience in education understand the reason for the success of sim as a teaching methodology. Clinical simulation is based on the adult learning theory, aka Andragogy Theory, but also calls upon Transformative Learning as described by Mezirow and Experiential Learning by Kolb. Adults consider past experiences to decide whether something is worth learning. To teach adults effectively, instructors must be able to feed into what learners already know. Like piggy-backing off old concepts, new concepts must minimize data clashes with an existing knowledge base. Instructors must skillfully integrate new learning into learner’s lived experience to become an active part of their thought process. Important to consider, is that if adults do not find a relevance they will lose interest. In an age of cell phones, the good news about simulation is that it is directly interactive and experiential! “Learning is understood as a process of using a prior interpretation to construe a new or revised interpretation of the meaning of one’s experience in order to guide future action” (Mezirow, 1996, p. 162). Some educators call this the aha moment when an insight changed long held beliefs. For example, learning styles has been a long held view about the way people learn. In fact, many educators still believe this despite a total lack of scientific evidence to support this theory. Check out the HealthySim article published June 2018 entitled “Are Learning Styles Debunked? What We Need to Know for Healthcare Simulation” and see if you have an “Aha!” moment about the fallacy of learning styles. Self-examination with feelings of guilt or shame. A critical assessment of assumptions. Recognition that one’s discontent and process of transformation are shared and that others have negotiated a similar change. Exploration of options for new roles, relationships, and actions. Planning of a course of action. Acquisition of knowledge and skills for implementing one’s plans. Provisionally trying out new roles. Building of competence and self-confidence in new roles and relationships. Although the phases above may seem overly complex, they often occur in simulation. 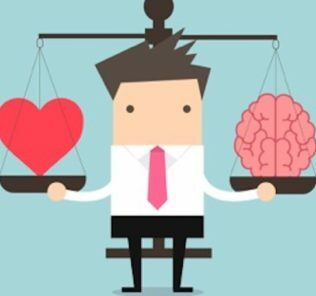 For example, during a code simulation a learner may realize that their entire focus on chest compressions or applying patches has caused them to miss a critical change in cardiac rhythm. Participants learn about their own responses and errors and will then plan to change their responses or perspectives. Allowing learners to reflect upon their actions during debriefing will lead the learners to transform future behaviors. 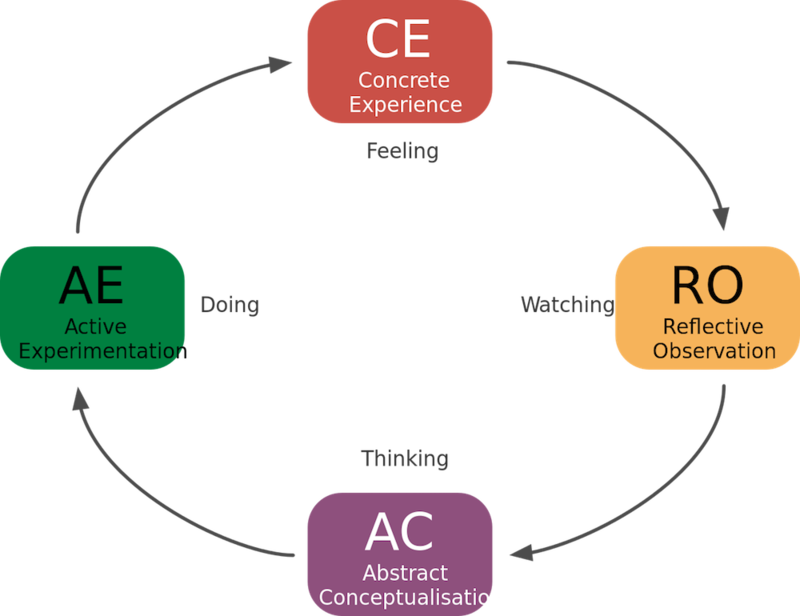 Experiential Learning Theory is a four-stage cyclical theory that involves a holistic perspective that combines experience, perception, cognition, and behavior. Concrete experience (or “DO”). The learner actively experiences an activity such as a lab session or field work. Medical simulation creates kinesthetic learning (learning by physical actions). Simulation may evoke strong emotional responses that reveal cause-effect relationships which will be remembered by the learners. Reflective observation (or “OBSERVE”). The learner consciously reflects back on that experience. Debriefing allows time for learners to reflect and analyze their own behaviors. Abstract conceptualization (or “THINK”). The learner attempts to conceptualize a theory or model of what is observed. Simulations allow learners to think critically about a given situation. They will formulate concepts and plan behaviors for future events. Active experimentation (or “PLAN”). The learner is trying to plan how to test a model or theory or plan for a forthcoming experience. Role-playing activities, internships, and other hands-on tasks let learners apply the learning and thus truly “learn by doing.” Active experimentation leads to concrete experiences, and the cycle of experiential learning resumes. The debriefing phase of medical simulation is a key component of nursing simulation education. During this phase, learners should be guided (not lectured at) to reflect back on their own behaviors, determine their own concepts and whether they are correct or not and then plan changes for their future behaviors. Simulation is a terrific way to educate healthcare practitioners at all levels. Thank you if you play any role in simulation education! You make a difference to patient safety, one scenario at a time! Learn more about Learning Theories for Medical Simulation!